A wonderful surprise Gift Box Ornament. 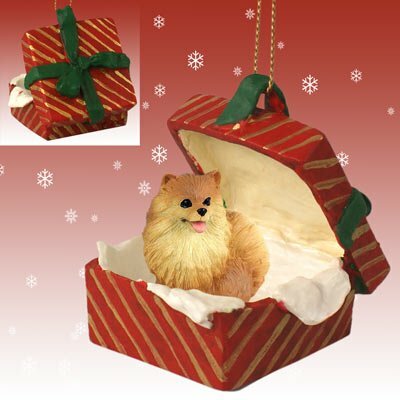 Comes with a gold string to hang on your Christmas Tree or display on a shelf. All items are hand painted stone resin and blister packaged. Great item for that special someone! If you have any questions about this product by Eyedeal Figurines, contact us by completing and submitting the form below. If you are looking for a specif part number, please include it with your message.